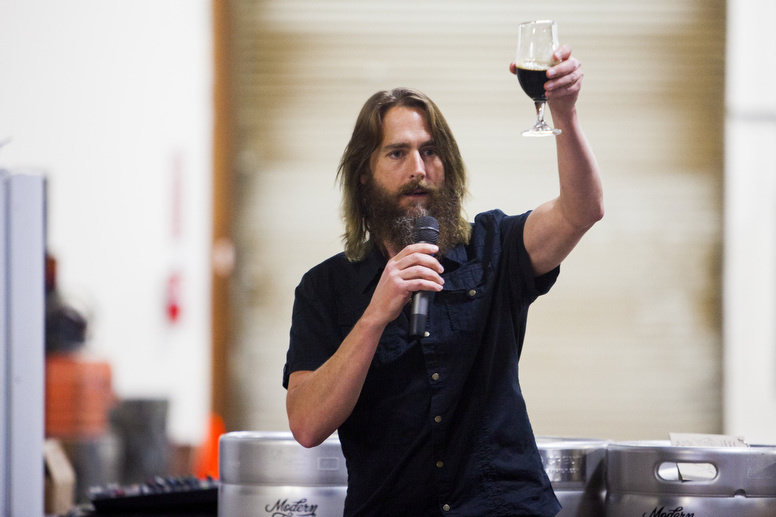 A guide to Comic-Con guides, Stone Brewing’s Greg Koch’s new venture and more in our weekly digest of the region’s arts and culture news. This isn’t the Timken Museum of Art’s first foray into contemporary art, but it might be its best yet. In June, the Balboa Park museum hosted its inaugural artist residency. 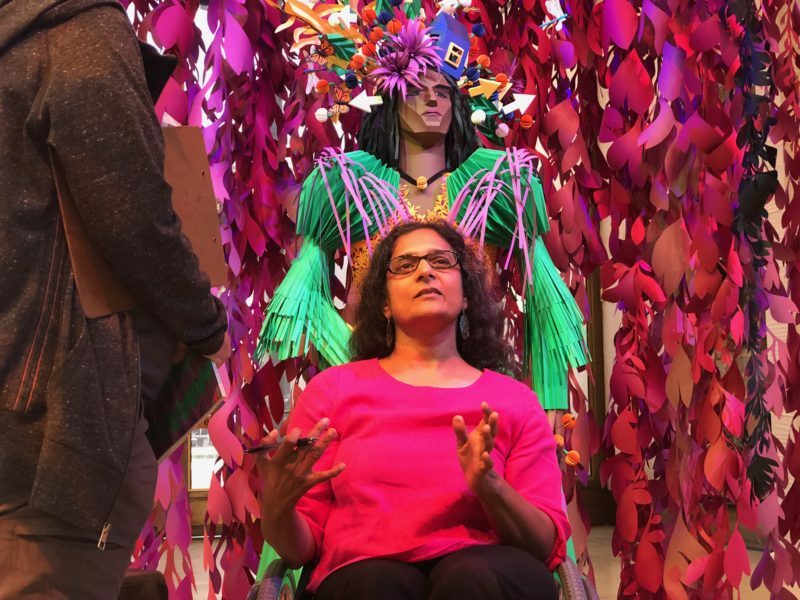 San Diego artist Bhavna Mehta spent weeks working inside the Timken’s rotunda, creating a large-scale sculpture made of paper. The installation is stunning. Inspired by the Timken’s “Portrait of a Lady” painting by Bartolomeo Veneto, Mehta’s “Leela: Portrait Of A Woman in A Green Dress” sculpture –up through Sept. 16– turns the face of Veneto’s painted woman from white to brown, and also brings her to life by depicting her inner thoughts and dreams as objects buzzing around her head. The Timken is not known as a home for new work by living artists. Its reputation comes from its collection of 14th- through 19th-century masterworks by artists like Rembrandt. The museum has hosted annual art programs that invite artists to activate the galleries. And former museum director and curator John Wilson once brought in an edgy, contemporary video portrait show. But mostly the Timken never strays too far from its core mission of showing historic artwork and offering free admission. Megan Pogue, Timken’s executive director, said Mehta’s residency isn’t a complete detour from that mission. She said it’s the continuation of a new program that plays off the modernist building housing the Timken. Some folks hate the building and say it doesn’t fit into the park, but architecture fans from across the world often visit the park just to see its sharp lines, white marble and bronze. Launched last year, Pogue said the program works to attract those architecture fans by using the Timken’s old master collection as inspiration for new architecture and design exhibitions displayed in the museum’s rotunda. Mehta said she’s excited to be one of the first local artists to take part in the new program. The Timken has seen an uptick in attendance since Mehta’s residency started, Pogue said. And the feedback from the museum’s board, visitors and volunteer docents has been positive. • Nathan Fletcher, who’s running for county supervisor, announced his plan to create a new regional film office to help attract film-makers to San Diego. San Diego’s Film Commission closed in 2013, and Fletcher’s not the first politician to announce plans for the office’s reboot. • Comic-Con is underway. Here’s my mini guide to Comic-Con guides: The Verge has a good roundup of the best panels this year, and KPBS’s guide is helpful for those with and without an official badge. The San Diego Comic-Con Unofficial Blog says the coolest place to be this year may be the free event happening at the Petco parking lot. And every year Barrio Logan holds Chicano-Con, a free event that spotlights Chicano artists. • The Union-Tribune checks in on the state of the San Diego Opera, which nearly closed in 2014. And OperaWire covered two programming changes the opera recently announced. • San Diego is one of many cities participating in “Big Sing California” on Saturday. More than 10,000 singers across the state are attempting to put on the biggest choral event in California history. • The San Diego Natural History Museum is opening a new exhibit space geared toward babies and toddlers. • The Carlsbad City Council approved a new arts and culture master plan. • A musical, binational peace march is happening in San Diego and Tijuana on Saturday. • Axe-throwing is a thing you can pay to do now. There are already a few axe-throwing spots in San Diego, and another is opening this week, reports SD News. 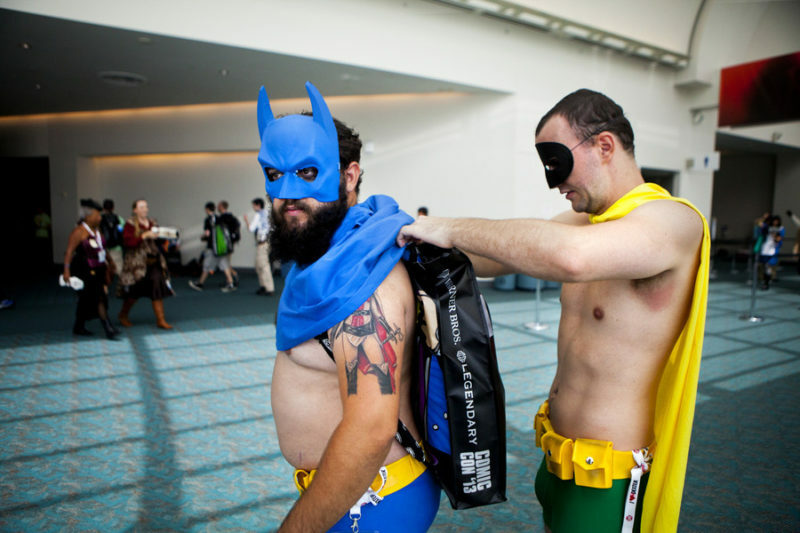 • I’ll be checking out the Comic-Con happenings and costumes outside the Convention Center this week along with everyone else. Our big Comic-Con event this year: taking our kids to see the Aquabats. • This opera performance in Tijuana near the border fence sounds interesting. I’m a big fan of San Diego opera singer Anishka Lee-Skorepa. • It’s your chance to finally see the world’s only all-green green-screen improv talk show. Some talented San Diego artists are involved. • The long-empty commercial space at the foot of the Mercado del Barrio project in Barrio Logan is finally filling up.